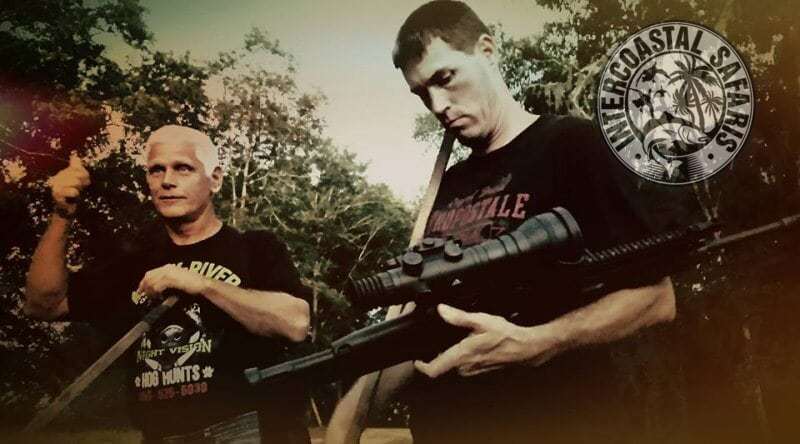 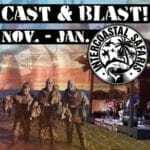 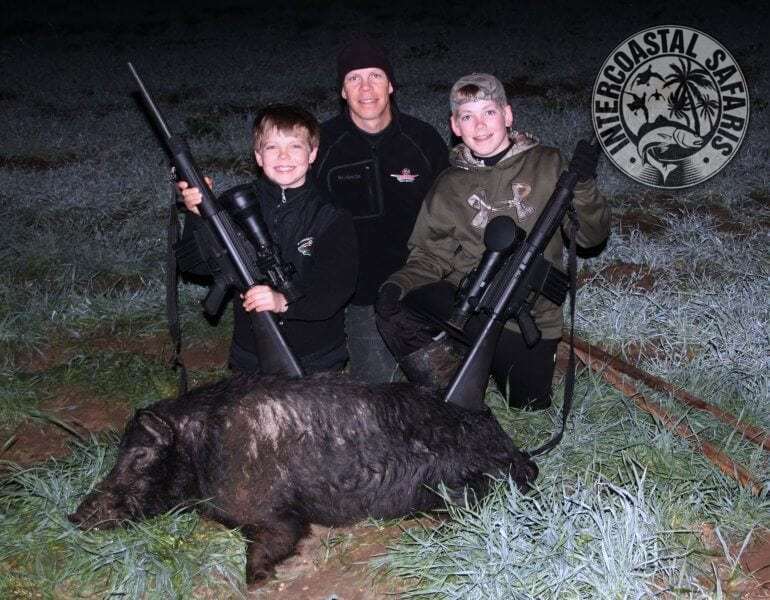 Big hogs, big guns and big adventure! 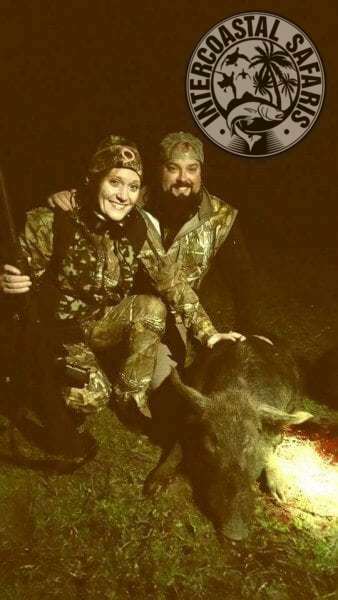 Book Your Hog And Coyote Hunt Today! 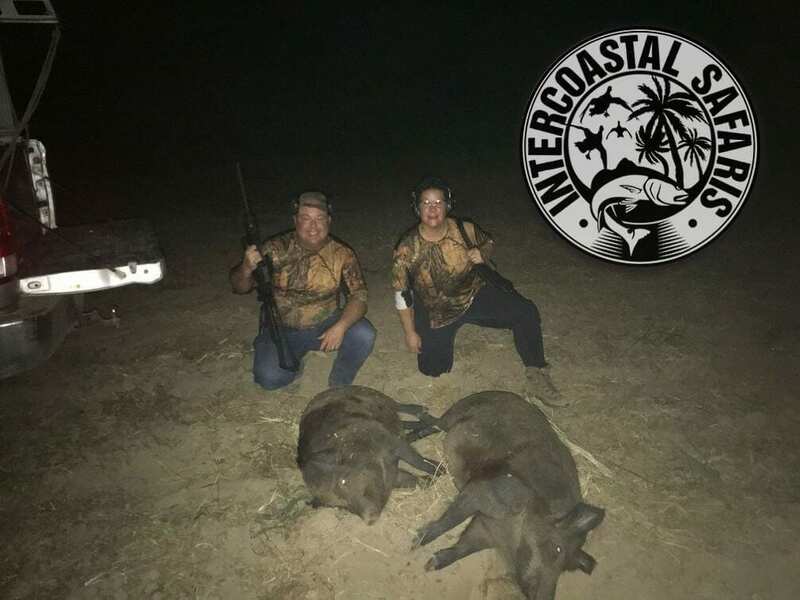 Intercoastal Safaris has guides with years’ of experience and real passion for taking clients out on their own personal hog hunt in Florida. 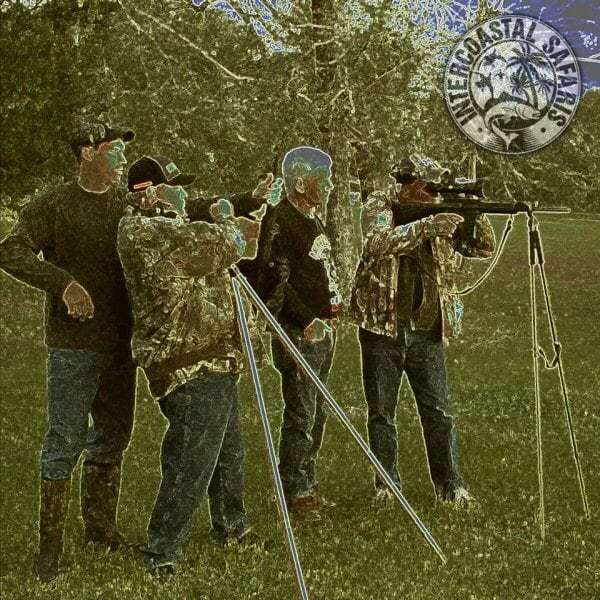 Our guides scout and survey the fields year-round. 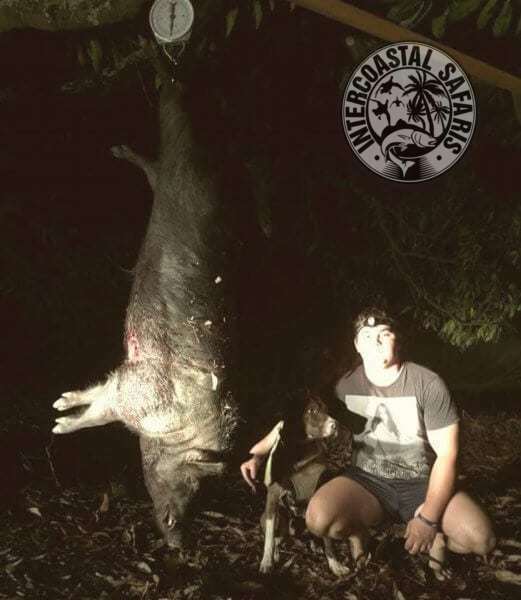 We’ve got the unique ability to study several pieces of property in one night by dealing with local farmers. 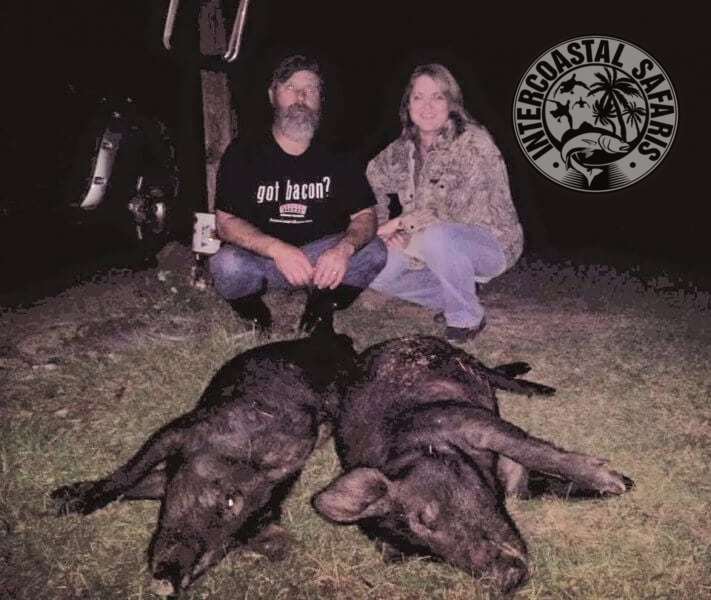 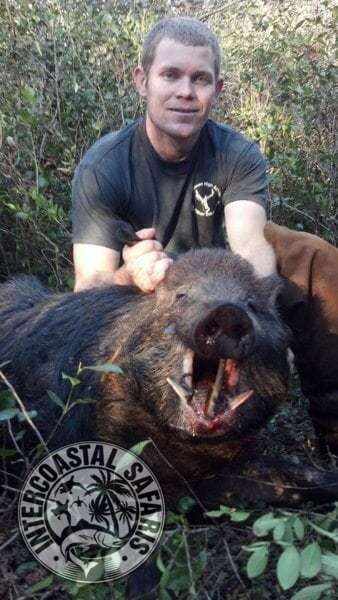 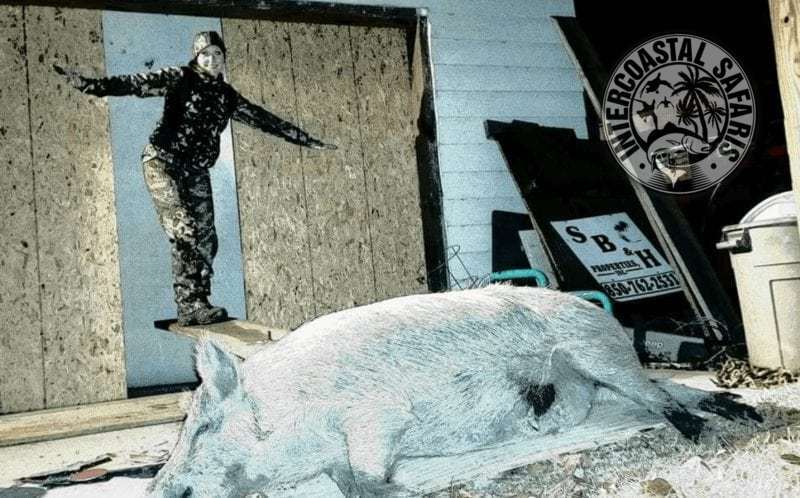 Our night vision hog hunts take place one hour north of Panama City, Florida. 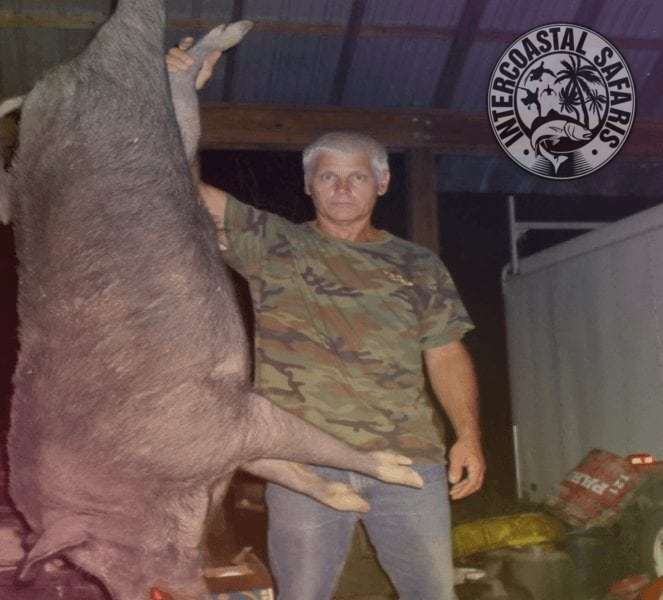 The adventure begins at sunset and doesn’t end until the ammo or hogs run out! 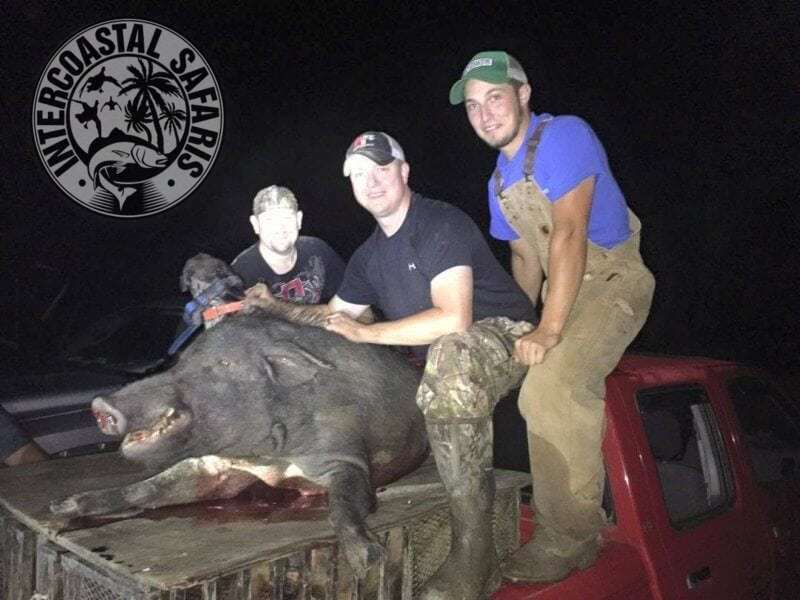 Ride along with our guides as they scout for coyotes and hogs in the fields. 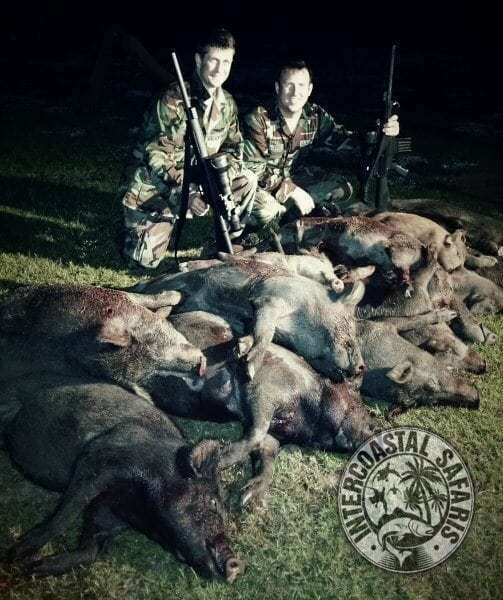 Once the guides locate targets, you’ll exit the truck and stalk the hogs and coyotes until you are within range. 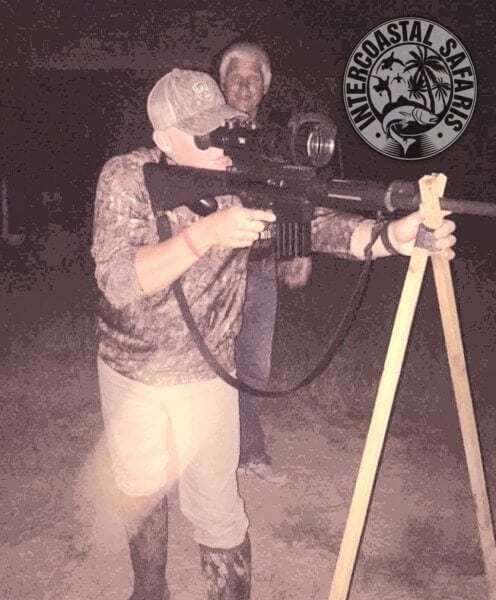 Our guide never leaves your side and our Panther DPMS Firearms with FLIR thermal night vision scopes and 20-round magazines of .308 165 gr. 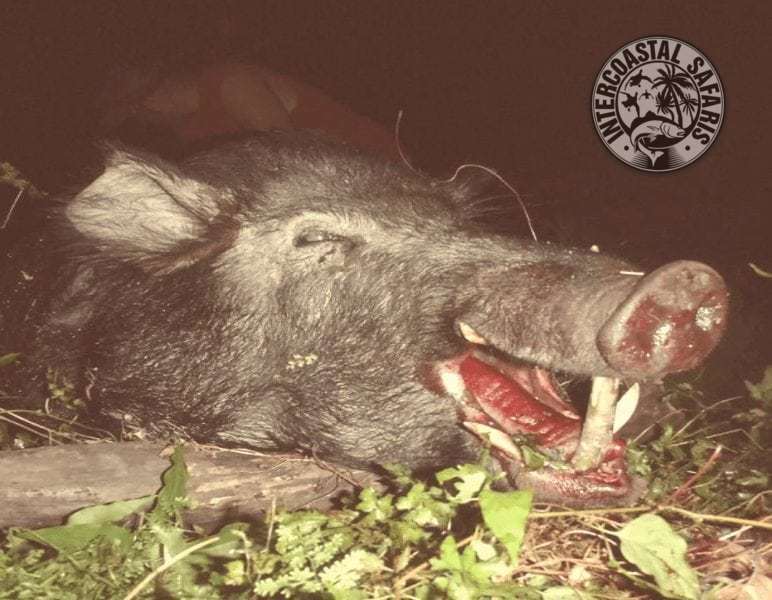 Full Boar ammo by Hornady will keep you satisfied all night long! 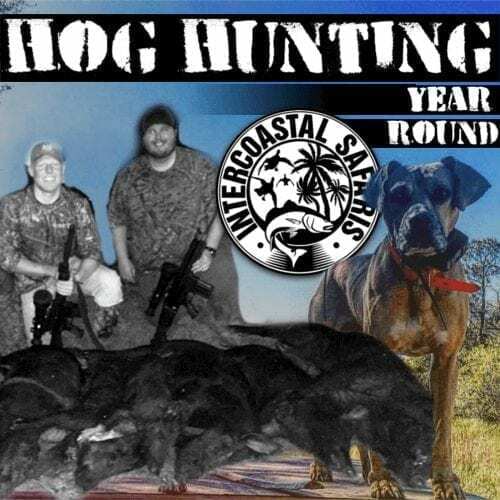 Our hog dog hunts also take place one hour north of Panama City FL, but offer the option to begin at sunrise and end in the afternoon! 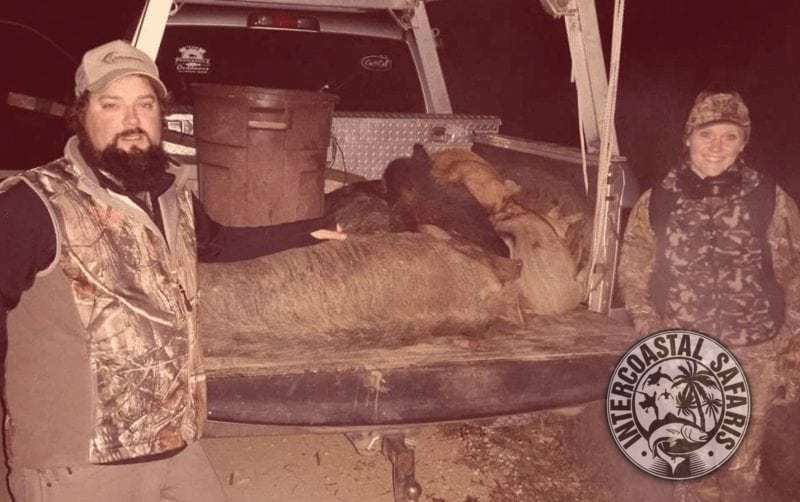 This trip for two hunters offers the the experience of hog hunting with dogs. 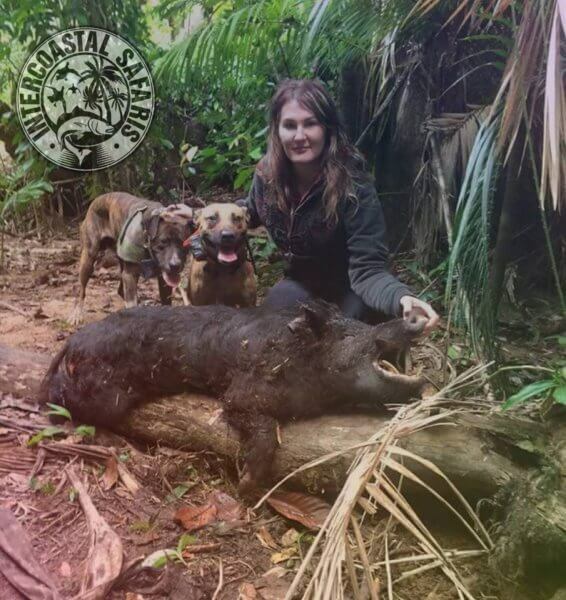 Whether you choose to hunt during the day or night, our expert guide and his canine trackers will take you on a hunt that is NOT for the faint or weary: You’ll be chasing wild boars through some of the roughest terrain Florida has to offer. 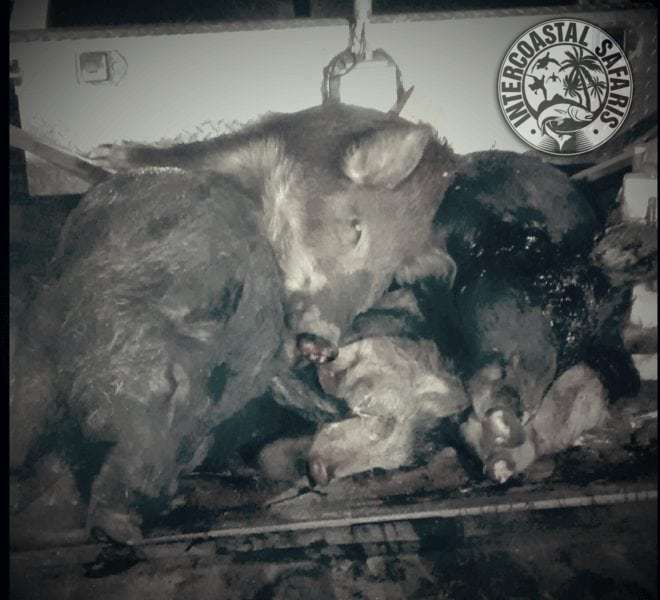 Once the dogs bay (secure) the hog, the fight is on. 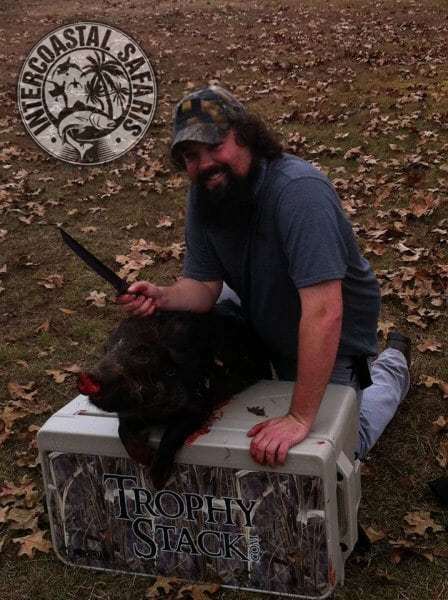 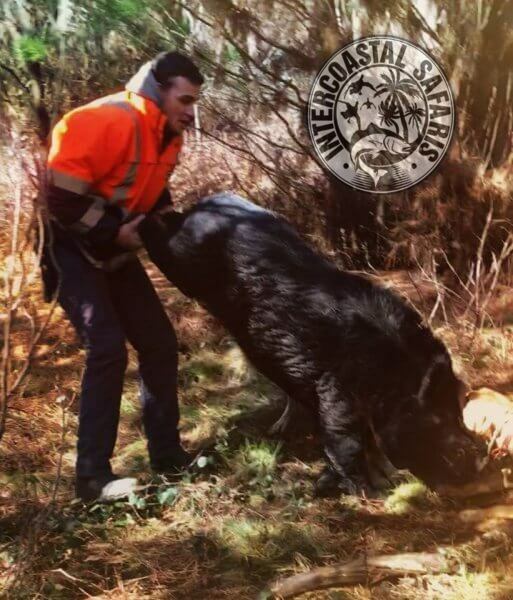 Our goal is nothing short of giving our clients the opportunity to stab a wild boar with a knife! 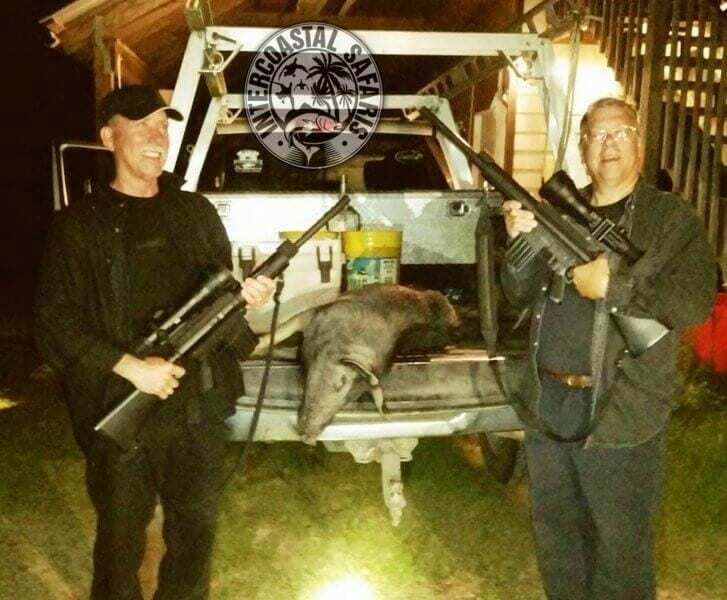 Due to local and state regulations, Intercoastal Safaris is not allowed to process wild game. 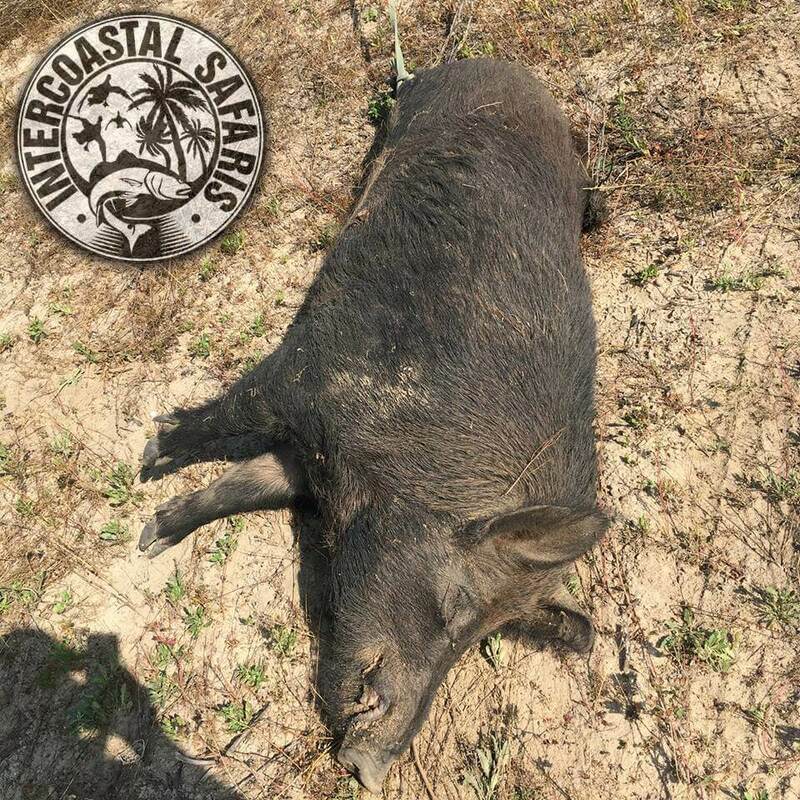 However, we’ve made arrangements with DOA processing located in Panama City FL. 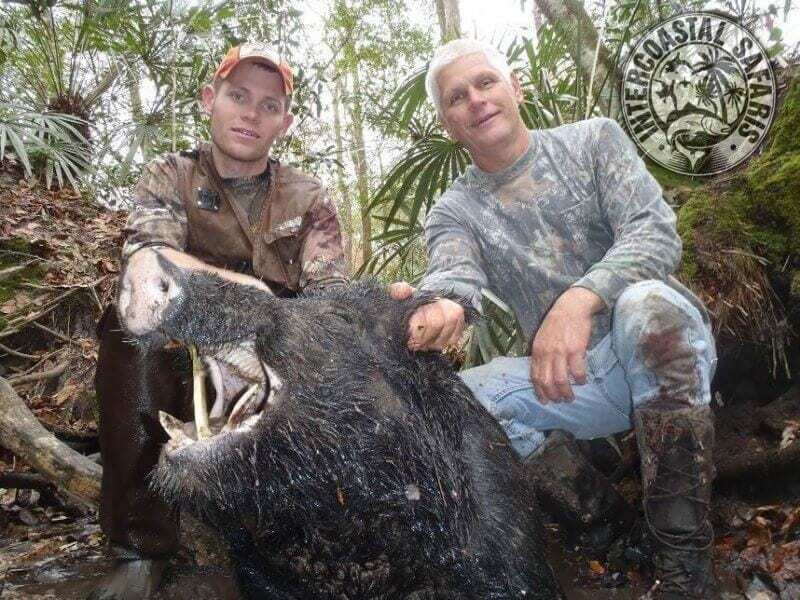 Simply give these guys a call at 850-381-6339 to make arrangements of dropping off your hogs. 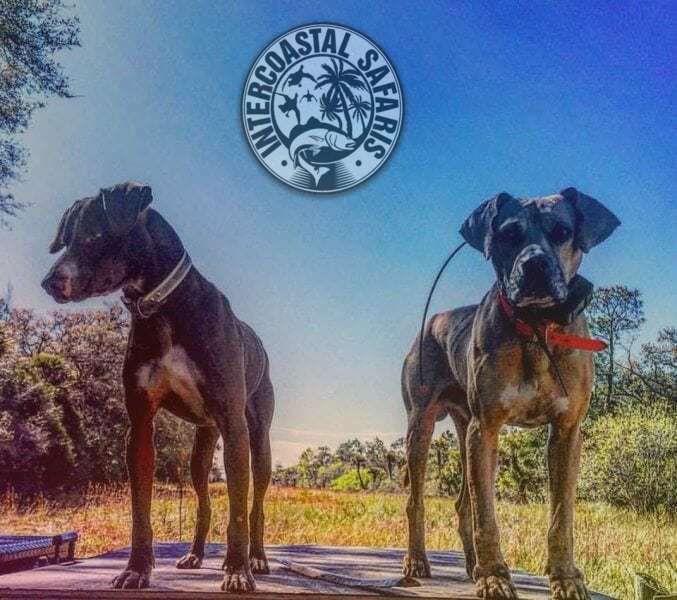 They are flexible and willing to meet you for drop off at the wee hours of the morning. 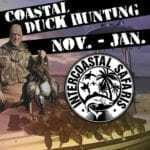 Pricing info is below. 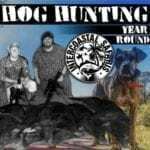 Book Your Hog Hunting Trip Today! 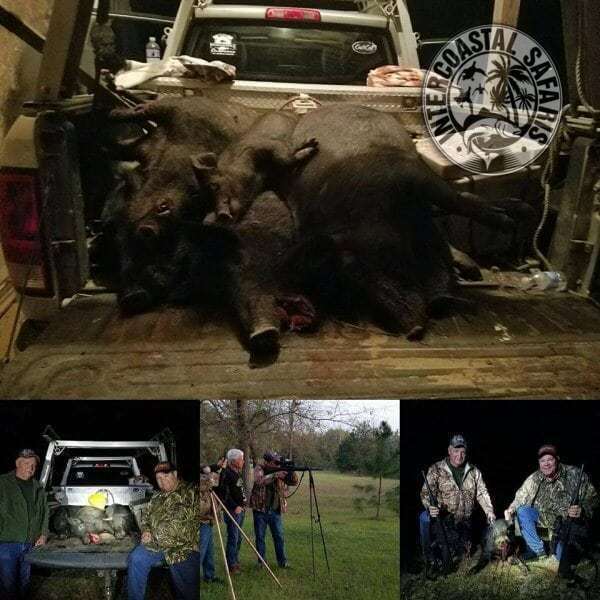 Be sure to call as far in advance as possible for these trips, as we only book one party of up to three hunters per night. 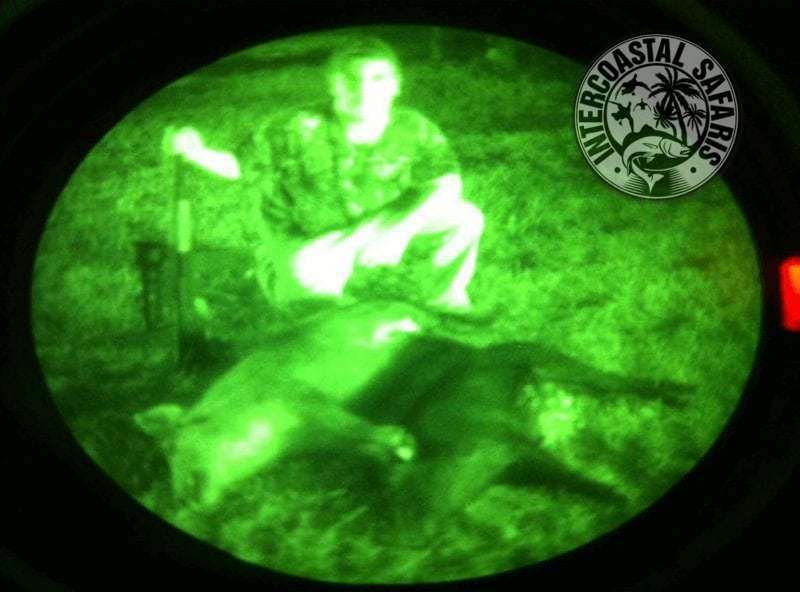 We are very proud of our 90% success ratio on night vision hunts, which have no bag limit and no trophy fees! 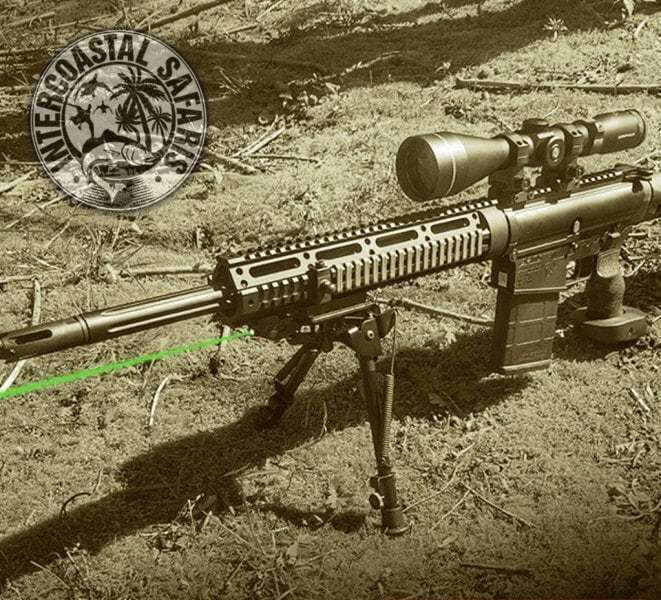 Ask about our $100 discount for active members of the United States Military. 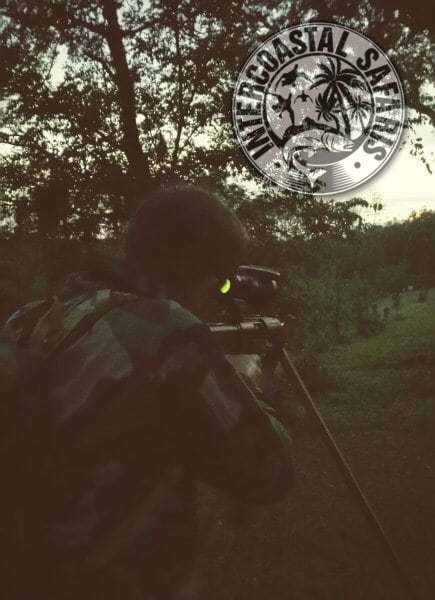 Outside of a 72 hour time frame leading up to the hunt, deposits are only refundable when trips are canceled due to weather. 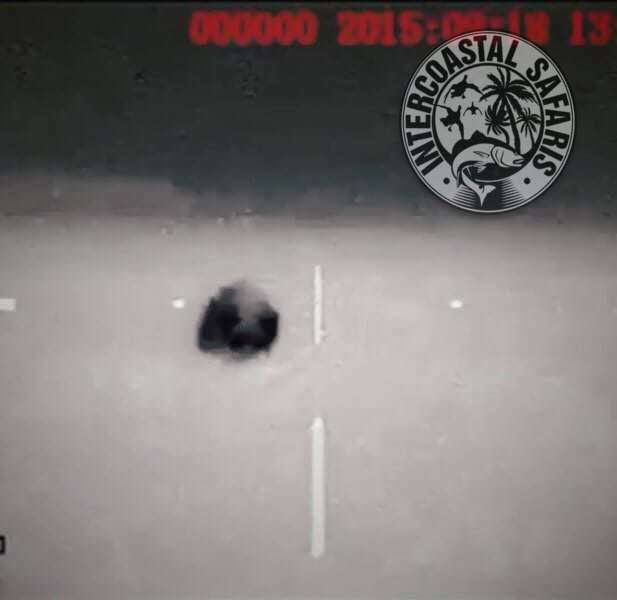 An intoxication of any kind is cause for non-refundable cancellation is fully up to guides discretion. 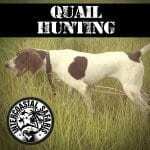 Any hunts canceled by customer within a 72 hour time frame will result in full payment taken.